Our hearts are from the city of brotherly love, Philadelphia, PA. Currently, we all live in different areas of the world, but we Google Hangout all the time. At Ferasha Films we take our films beyond the screen. We aim to bring awareness through documentation and creating premiere events in order to inform and challenge our followers to impact their community. Filmmaking is an expensive endeavor for an organization and we understand that organizations cannot always afford to hire a professional filmmaker. Ferasha Films provides professional-quality documentaries that the organizations we film can use for their promotional and fund-raising activities. We believe there are many stories that are worth sharing and have taken it upon ourselves to act in the investment of building relationships and connecting communities both locally and globally. Ferasha Films has filmed in two continents so far; Africa and India. These documentaries have brought awareness and compassion to our local community. Umuryango, a documentary filmed in Rwanda, challenged people to donate both their time and money at a Rwandan orphanage. Threads of Hope, a documentary filmed in India, brought understanding to impoverished womens issues in Kolkata and challenged the viewers buying habits, encouraging them to purchase fair trade items. 1. Create a social movement by challenging those worldwide into action through the power of media. 2. Educate a world that longs for true storytelling. 3. Raise and invest fundraising in programs that impact worldwide communities. Ferasha Films is a volunteer staff from the Greater Philadelphia area. We are a group of innovative people who are passionate about documentary story-telling. We're teaming up with filmmakers from all over the world to help tell stories that need to be told. Contact us. 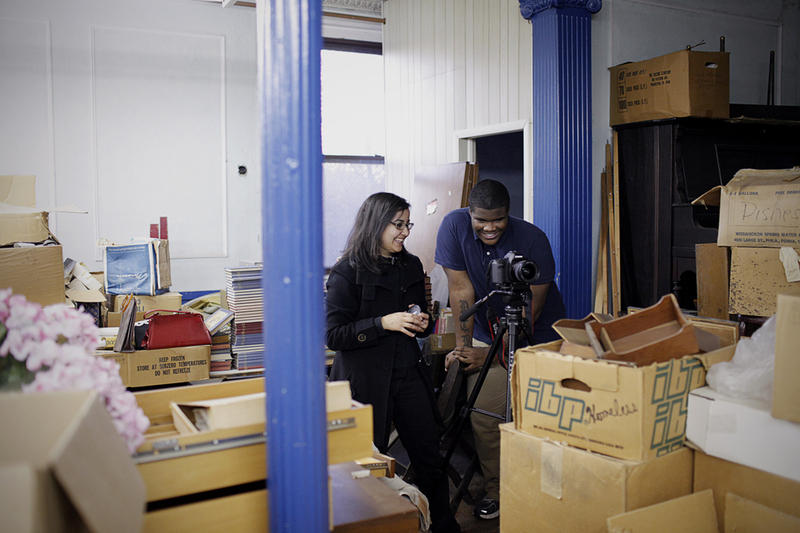 Amanda Danziger, founder and filmmaker, directing The Backyard Philly Project. 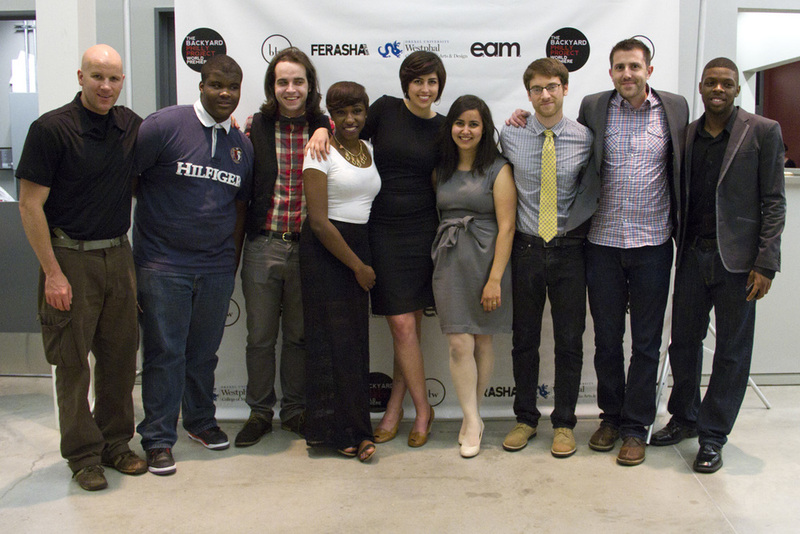 The Backyard Philly Project crew at the World Premiere event at Drexel University.